The article takes a look at the basic factors to be considered to self-test the feasibility of a rooftop solar PV system, before calling the experts for the detailed site survey. With falling prices of solar photovoltaic modules and increasing prices of diesel, the electricity from a solar plant is almost at par with diesel generated power. Almost every manufacturing unit in India has setup diesel generator power plant as a backup for their power requirements during power outages. Typically, such companies have huge rooftop area which receives unobstructed sunlight throughout the day, thus providing a good opportunity to set-up a rooftop PV system. 1. Shadow test:To collect maximum sunlight during the day, the solar PV panel should face as much south as possible. The rooftop must be checked for the shadows of trees or adjoining builds etc., particularly from south direction. A clear rooftop without any shadow from all around is an ideal case for solar PV installations. In case there is shadow on rooftop, a detailed analysis of time and direction of sunlight needs to be performed by an expert to estimate the energy received by rooftop. 2. Rooftop type: The load carrying capacity of the roof should be checked.The solar panels with structure typically weigh 15Kg per Sq. meter. This weight varies with technology and type of structure. 3. Sizing of solar system: Size of solar system depends on the rooftop area available for panels. This can be calculated by dividing the available area by each panel area and multiplying it by panel’s rated output. 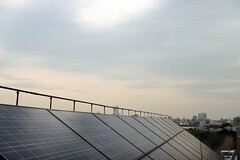 For estimate purpose, 70% of rooftop area can be used for panel’s installation. Certain solar panels in market can use as high as 90% of rooftop area, but have much higher cost. As a thumb rule, 10 Sq meter area is required for 1 Kw capacity solar system. As a thumb rule, 1 Kw capacity solar system generates 1600 – 1700 Kwh of electricity per year. The CUF varies with the geographical location of the installation site. Following table summarizes indicative CUFs at different cities in India. 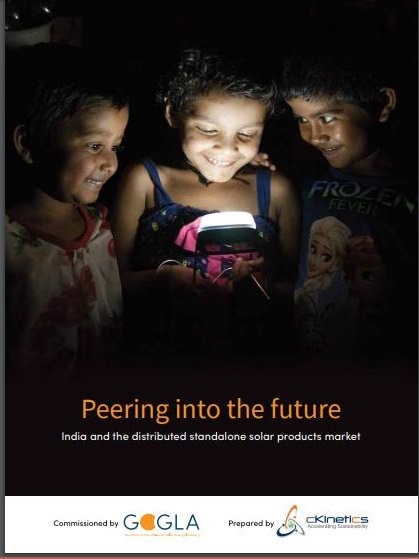 5.Pricing of solar system: A typical rooftop solar system without battery and without grid connection costs Rs.125 per Wp. A system with battery with 5 hrs backup typically costs Rs.200 per Wp. These rates are for smaller systems upto 250 Kw capacity. For larger systems, price per Wp reduces and is typically in the range of Rs.100 per Wp for MW size systems. In addition to the above decision criteria, it maybe worthwhile for the prospective project developer to weigh in on the financial incentives in their business cases. A quick overview of the financial incentives available for the solar projects is presented below. Cap Subsidy: MNRE provides 30% capital subsidy on capital expenditure for rooftop solar PV system. For commercial and non-commercial entities in grid connected area, subsidy can be granted to plant size upto 100Kw. However entities setting up solar plant for rural electrification can claim subsidy for upto 250Kw plant size. 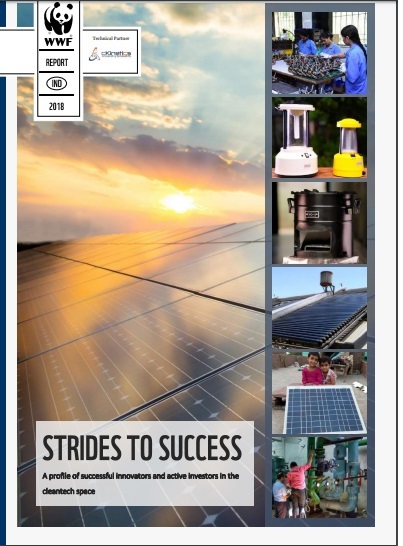 Interest Subsidy: The government provides soft loans at 5% per annum on 50% of capex amount for 5 years tenure for solar projects by both commercial and non-commercial entities. Commercial entities can claim either of capital or interest subsidies. But a non-commercial entity can claim both subsidies simultaneously. Accelerated depreciation: For solar system, a company can claim 80% depreciation in the first year itself leading to savings on income tax on overall profit. This benefit can be claimed by both commercial and non-commercial entities.Process of claiming financial incentives: The financial incentives mentioned above can be availed by writing an application to MNRE in the prescribed application form for project approval. A commercial entity has to indicate its preference for capital or interest subsidy. Once approved, in case of interest subsidy, the MNRE forwards the application to a commercial bank for the soft loan. In case of capital subsidy option, MNRE provides subsidy money in 3 trenches: start of project, mid-way through the project and after a successful inspection post- completion of the project. Other sources of finance: Apart from incentives from MNRE, an entity can avail of commercial loans from organizations such as SIDBI at 15% interest rate typically for terms of 7 years with 1 year moratorium period. There are no special loans from commercial banks for solar systems.